Mothering Sunday - what it's all about. Flowers make the perfect gift for Mothering Sunday and we've got some beautiful British grown blooms to make up into Bouquets and Posies for you to give. Mothering Sunday was also known as 'Refreshment Sunday' because the fasting rules for Lent were relaxed, in honour of the 'Feeding of the Five Thousand', from the Bible. No one seems sure on how the idea of Mothering Sunday began. However, it is known that on this day, around four hundred years ago, people made a point of visiting their nearest big church (the Mother Church). People who visited their mother church would say they had gone "a mothering." Young British girls and boys 'in service' (maids and servants) were only allowed one day to visit their family each year. This was usually Mothering Sunday. Often the housekeeper or cook would allow the maids to bake a cake to take home for their mums. Sometimes a gift of eggs; or flowers from the garden (or hothouse) was allowed. Flowers were traditional, as the young girls and boys would have to walk home to their village, and could gather them on their way home through the meadows. Mothering Sunday is always the fourth Sunday of Lent, so this year the date to remember is 3rd April if you would like to thank your own mum for what she has done for you. 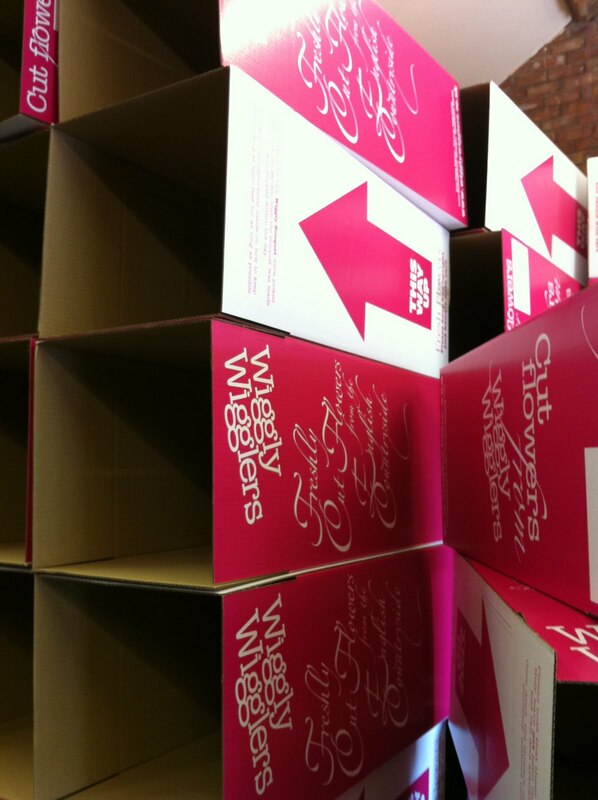 Wiggle ON!We're on schedule for a Wiggly Record Breaking Mothering Sunday, and our florists are in top banana form. Our farmers and our fabulous wholesaler have delivered in lovely British Flowers by the bucket load.... and Team Wiggly are busy arranging your the flowers and bouquets that will wiggle their way to homes all over the UK today, tomorrow and Saturday. Well done to Emily, Ricky, Ginny, Heidi, and Noelle... with lots of help from Gareth, San and Rach! 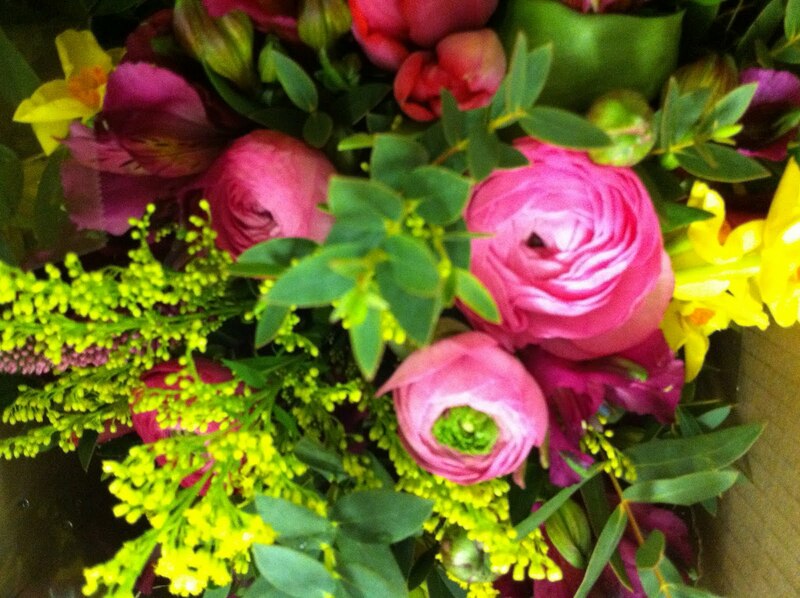 If you want to order Mother's Day Flowers - the last time to get flowers on Friday is to order before 4pm Thursday 31st March. The last time to order for Saturday delivery is 2pm Friday 1st April and please make sure you CHOOSE the SATURDAY option if you want the flowers there on Saturday otherwise we will send them for a Monday delivery. Mothering Sunday is the fourth Sunday in Lent and if you want an excuse to eat cake it is also known as Simnel Sunday - yum! For more details here is the Wikipedia Link. Turns out Diarmuid knows lots about worm composting so when we were asked to take and talk about a Worm Cafe - it was having a chat with a fellow wormy enthusiast. We supplied a Worm Cafe for "This Morning" TV programme who were busy helping out a school in Cornwall overhaul a piece of wasteland into a lovely new productive garden.